Your Opportunity of a Lifetime Awaits. 320 Whittington Parkway, Suite 106, Louisville, KY 40222. 2700 Old Rosebud Road, Suite. 150, Lexington, KY 40509. 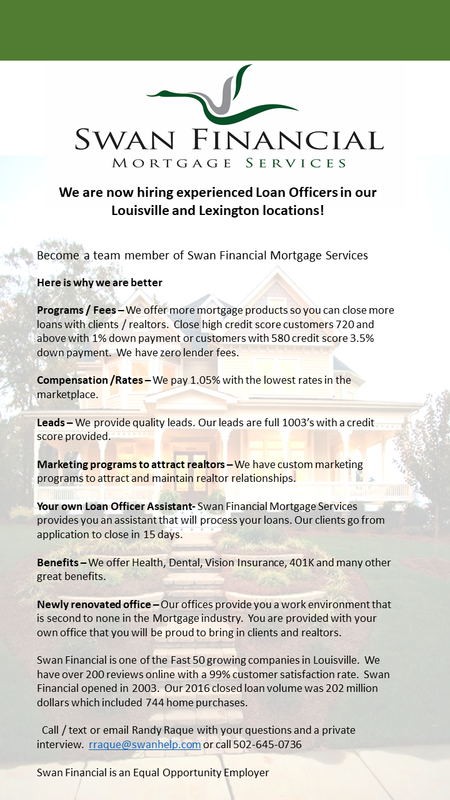 Submit your contact information and resume below to inquire about a career with Swan Financial!